G. Widén, Lindström, J., Brännback, M., Huvila, I., and Nyström, A. - G., “Mixed Emotions in Active Social Media Use-Fun and Convenient or Shameful and Embarrassing?”, iConference 2015 Proceedings. 2015. L. Börjesson, Dell'Unto, N., Huvila, I., Larsson, C., Löwenborg, D., Petersson, B., and Stenborg, P., “A Neo-Documentalist Lens for Exploring the Premises of Disciplinary Knowledge Making”, Proceedings from the Document Academy, vol. 3, 2016. J. Moll, Rexhepi, H., Cajander, Å., Grünloh, C., Huvila, I., Hägglund, M., Myreteg, G., Scandurra, I., and Åhlfeldt, R. - M., “Patients' Experiences of Accessing Their Electronic Health Records: National Patient Survey in Sweden”, JMIR, vol. 20, p. e278, 2018. 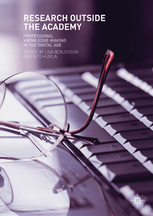 L. Börjesson and Huvila, I., Research Outside The Academy : Professional Knowledge-Making in the Digital Age. 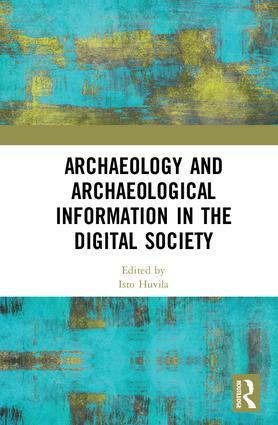 Basingstoke: Palgrave MacMillan, 2019.